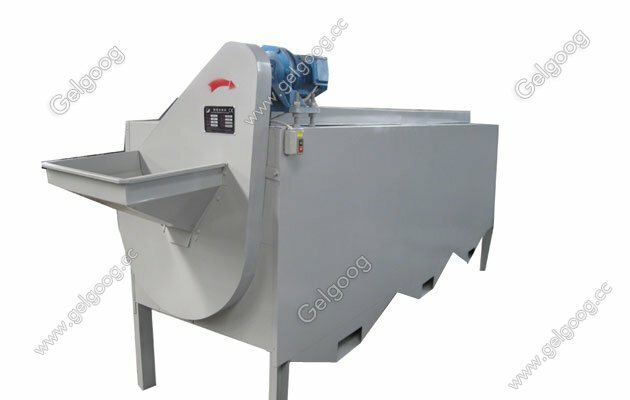 Cashew Nut Shelling Process Plant With Best Price The cashew nut shelling processing plant consist cashew grading machine,cooking machine,cracking and shelling machine,separating machine,peeling machine,roasting machine.We can provide suitable cashew nut processing plant accoridng your detail demands. Cashew graders can grade raw cashews according to size and size.Cashew classifier usually three to four levels. The raw cashew nut shell in the shell softens under pressure to soften the shell.The shell of the cashew shell is very hard and contains harmful oils.Cooked cashews are easy to crack and peel.Steam cooking helps to bombard cashews with minimal effort. 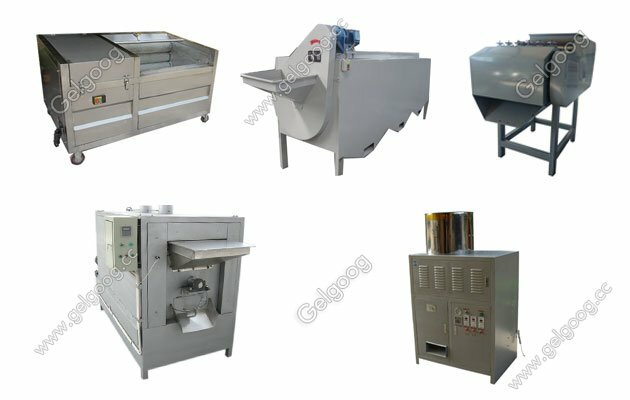 Cooked cashews crumble on the cashew shell.Rolling bearings are used to adjust the distance between different sizes of cashew nuts.The capacity of the cashew nut shell machine can reach 170 kg/h, and on the 300 kg/h cashew shell, we are equipped with 2 shelling machines. The cashew nut separator tank is a cashew nut shell used to separate the cashew nut shell from the cashew nut shell.After the cashew nutshell sheller, the cashew nut shells and nucleolus are separated from the cashew nuts and the cashew nuts are reinstalled. The red skin of each cashew kernel is made of deep processing products using a cashew sheller.The automatic shelling machine works with an air compressor. 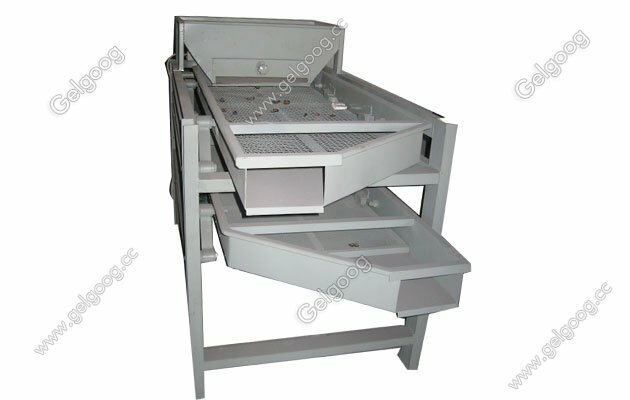 The internal parts of the shelling machine are made of high quality stainless steel. 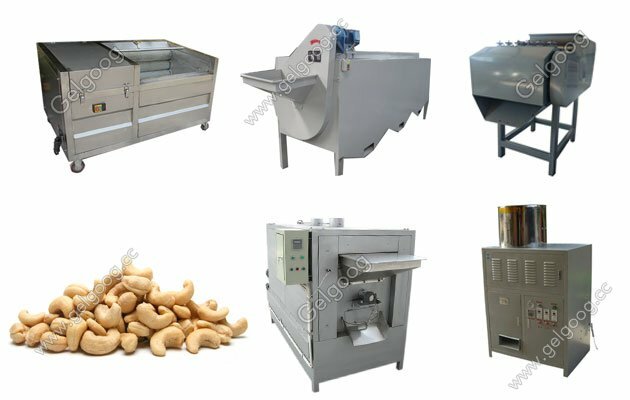 Roasted cashews look and taste good.Cashew baking machine is fully automatic and efficient.During baking, the cashews are evenly heated at high temperatures and do not stick to the inner wall.